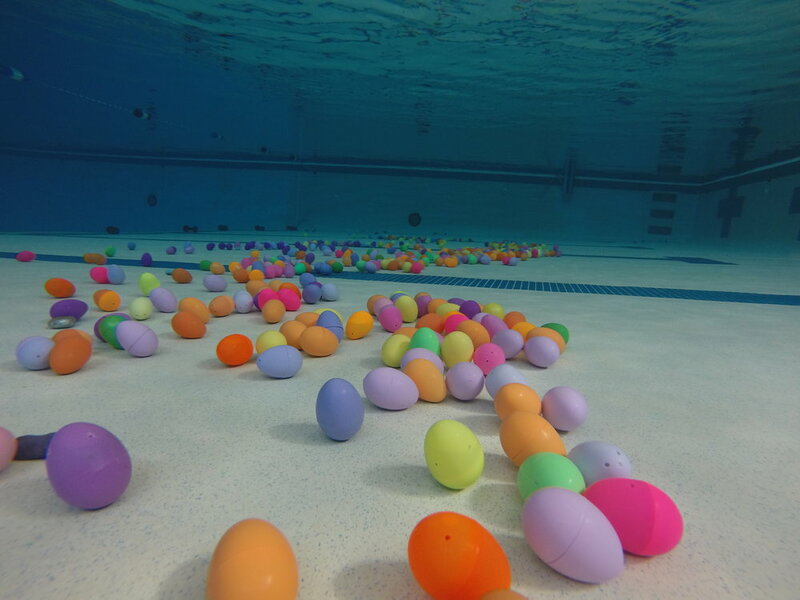 Take the traditional Easter Egg Hunt in a new direction this year and hide your eggs in the pool! Float them on top for a quick and easy hunt or weight them so they sink or float somewhere in the middle for a slightly more challenging experience. Either way it will be good, splashy fun! 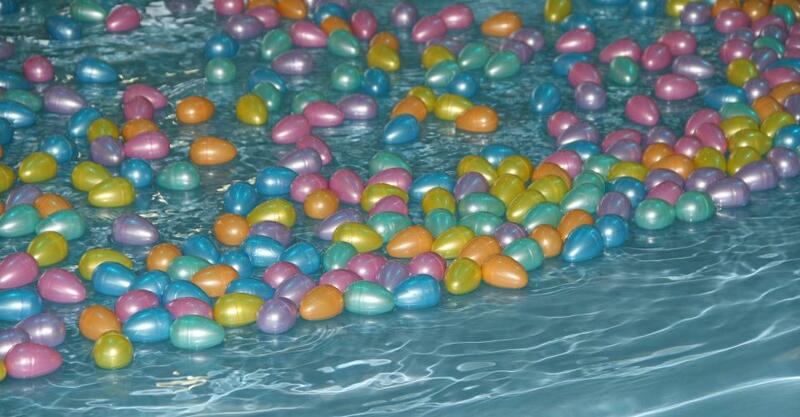 Expert tip: It’s probably a good idea not to put the candy IN the eggs before submerging them. Have the kids trade them in for goodies after the hunt!